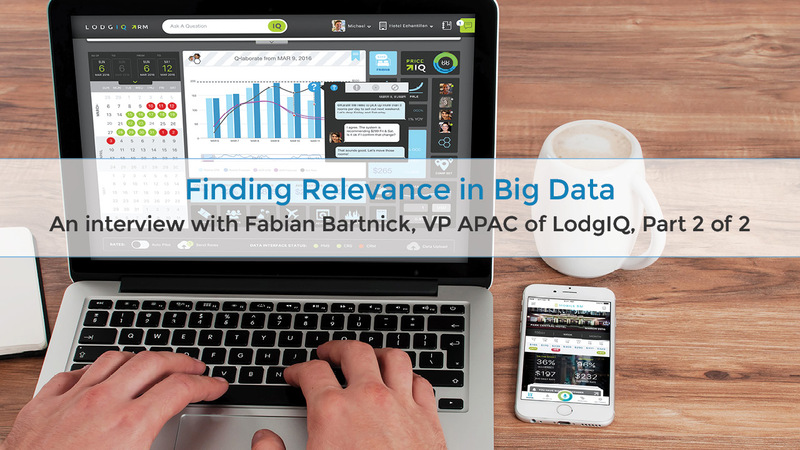 Welcome to Finding relevance in big data – Part 2. Listen to Part 1 here. How can hoteliers make big data work for them? Big data is a buzzword that has gotten plenty of mileage and for good reason. Hoteliers looking to maximize room rates can look no further than their destination’s incoming data. Through the use of machine learning algorithms, the continuous stream of incoming data can be evaluated, determined relevant, and ultimately influence the rate being recommended, in real time. The opportunity to boost revenue via big data analysis is ever present. Just one example, fluctuating exchange rates. Following Brexit, the value of the pound fluctuated dramatically. Suddenly, the $200 room is actually a value of $120. The effects of globalization continue to create market volatility and the need for hoteliers to be agile in their response. Technology providers like LodgIQ allow hoteliers to adapt rather quickly to changes in their market and yield higher profits as a result. Do you want to make more revenue? We can help. Contact us.